Join in on the latest fun and entertainment with the Mohegan Sun mobile app! This interactive app gives you on-the-go access to restaurant information, room reservations, upcoming events, shopping, promotions and more. 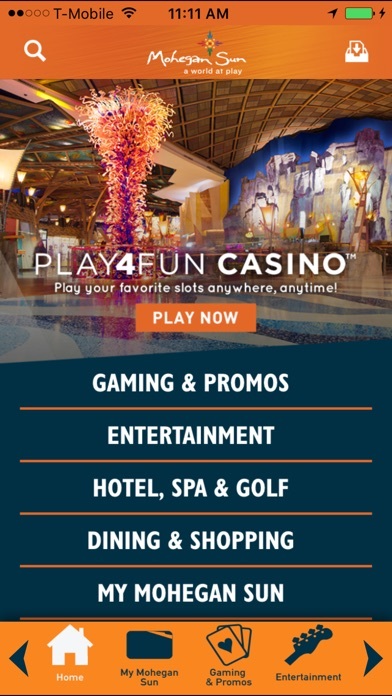 This app is a great way to explore what Mohegan Sun has to offer all from the palm of your hand.. 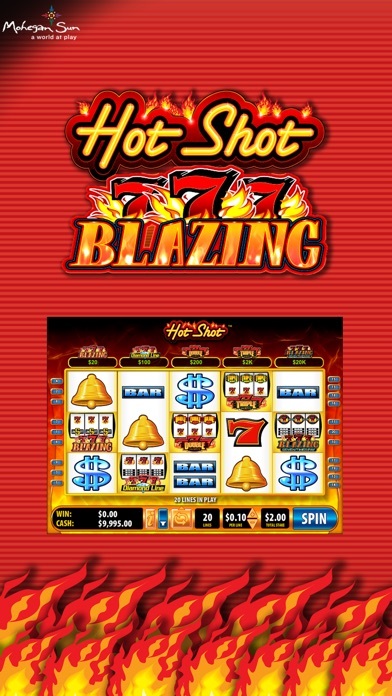 Features Include: CASINO Home to over 5,000 slot machines and 300 table games, this app lets you instantly browse all the gaming action Mohegan Sun has to offer. 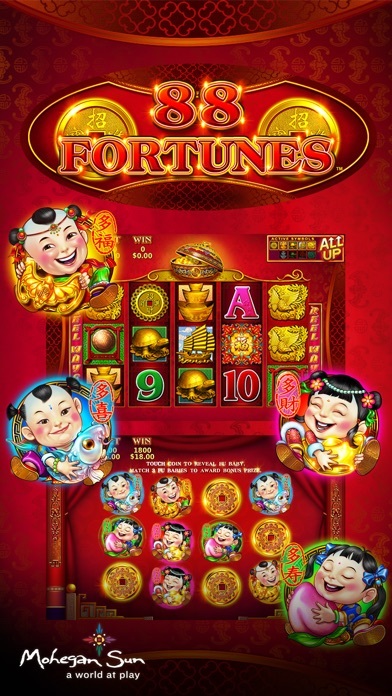 Check out our array of slots, table games, tournaments, and current promotions. 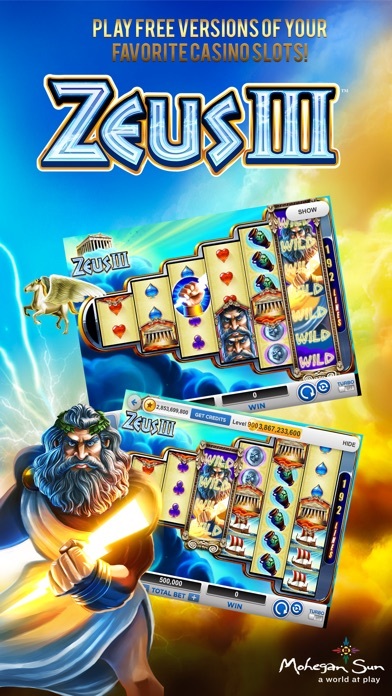 PLAY4FUN CASINO Enjoy free-to-play versions of your favorite slot titles in the palm of your hand. 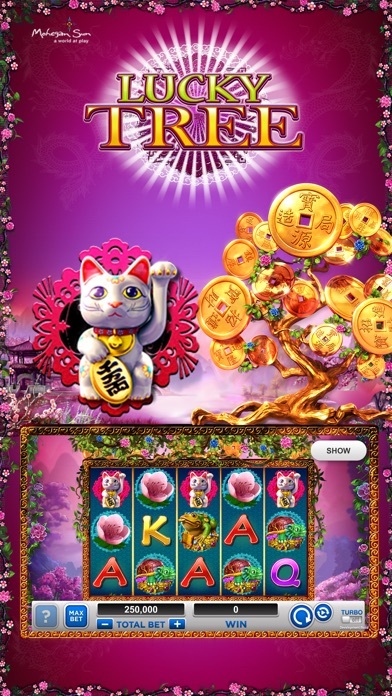 Our Play4Fun Casino gives you access to dozens of popular slot games you can find on our casino floor, including Li’l Red, OMG! Kittens, Kronos, Napoleon & Josephine, Fire Queen, and many, many more! HOTEL AND SPA Browse our entire array of rooms and suites, complete with photo galleries and amenity information, then reserve your stay right from the app. Also, get information on Elemis Spa and treat yourself to some pampering while you’re here! ENTERTAINMENT & NIGHTLIFE Check out our upcoming events and schedules and purchase tickets for your favorite shows straight from the app. Any night of the week can turn into a party at Mohegan Sun’s many clubs, bars and lounges – learn about all our after-dark hot spots. MOMENTUM Learn about our Momentum program. Momentum is engineered to quickly elevate your status. The higher your status the more power and flexibility you’ll have to access the rewards you really want! Just use your Momentum card every time you play. Membership is free. DINE & SHOP Browse our variety of fine dining, casual dining, coffee & dessert and buffet options. Reserve your table from within the app at participating restaurants. See all of our shops and find out how to get your hands on clothing and apparel, jewelry, music, electronics and much more. MAPS & LOCAL WEATHER Access overhead custom GPS maps or view detailed property maps of the property and surrounding area. You can even drop a pin onto the satellite map to remember where you parked or where to meet friends. Prepare for your next trip, discover what the weather forecast looks like for Uncasville, CT. IN-APP SEARCH Use the embedded smart-search bar to find content by keyword. DIRECTORY Our full-service directory contains contact information for casino staff, restaurants, and retail outlets so you can connect with us instantly! PASSKEY-PROTECTED CONTENT Event attendees or wedding guests can see private, passkey-protected content only accessible to registered guests. STAY CONNECTED! Update the world right at your fingertips! View our Facebook page, follow our tweets, and subscribe to our YouTube channel right inside the app. AND MUCH MORE!